You know that terrible feeling when you’re dining somewhere fancy and you accidentally place a dirty utensil on the gleaming white table cloth? That would never happen if all flatware had this genius cantilevered design that keeps the business end always floating above the table. 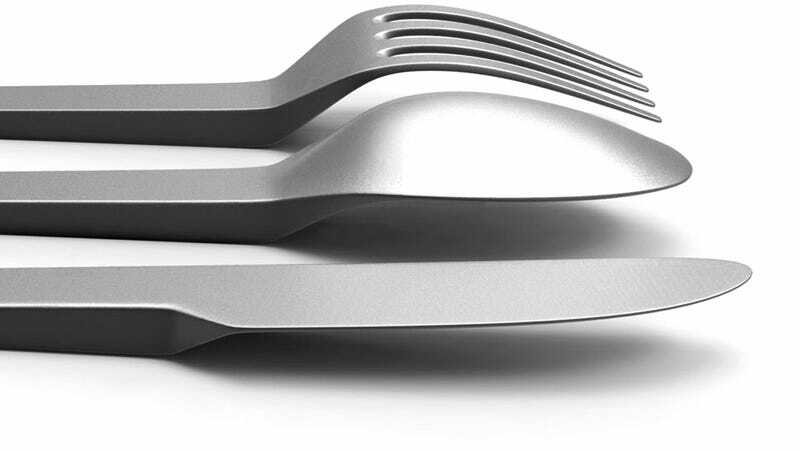 And besides keeping table cloths clean, this $25 Cantilever Flatware set (which includes one knife, fork, and spoon) is also more hygienic because it creates some distance between the part you put in your mouth and dirty surfaces like kitchen counters and restaurant tables.